Payment Method updated in 2017 Sage 50 version. 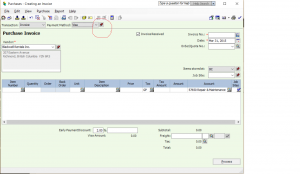 In the 2016 and older versions of Sage 50 if Payment Method was set at Cheque, Visa or other methods of payment, your choice would remain until you exited the Purchase or Sales journal at which time it would default back to Pay Later. In 2017 version the tack beside the Payment Method box must be activated for your choice to remain. Once the update for 2017 has been done this issue will be corrected. Does the software support to book for using the USD credit card to make the payment for the purchasing invoice and also the client paying the USD fund invoice by client’s USD credit card? We have the clients and suppliers in the states and we need to deal with the USD credit card purchasing and buying booking. You have a USD customer and need to handle customer payments. Sage 50 does allow USD currency. 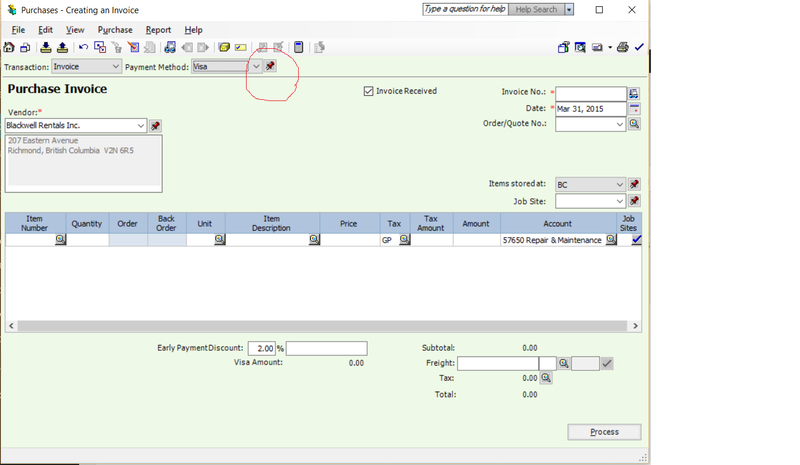 At the time of setting up the customer’s name and address, click on Options tab and change Currency from CDN to USD. The Options tab is not available once the customer is set up. As far as your debit machine accepting USD funds, you need to contact your debit machine representative.